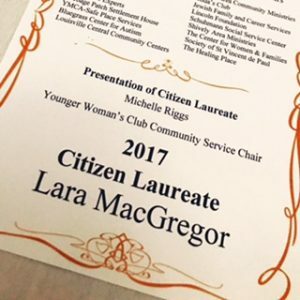 I had the honor of being named Citizen Laureate 2017 by the Younger Women’s Club of Louisville earlier this week. I’m incredibly touched to be recognized in this way. 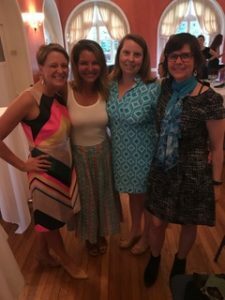 But what struck me more than anything during this fun night of bubbles and laughter – was the tireless dedication of Louisville’s non-profit community. During the program Younger Women’s Club awarded 16 grants totaling $54,000 to community organizations doing incredible work. As each one accepted their grant and shared specifically how the money would be used I was moved by the common thread of connection and compassion. 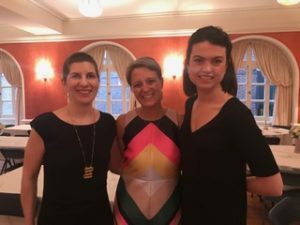 From two children connecting over their shared love of oranges at summer camp for kids with cancer to encouraging young refugee women to pursue their entrepreneurial dreams with business support and training. Making houses more efficient for the elderly or offering compassionate end of life care to people who have no where to live. Realizing you aren’t the only kid with an incarcerated parent, providing a safe haven for victims of domestic violence or delivering meals to elderly. Each of these organizations provides very different services to a wide range of people. The common thread… connection. Building bridges, showing support and love, finding common ground and just lending a hand to help people face the challenge before them. No judgement. Just love. I was both impressed by the hard work of these organizations and saddened that so many problems persist in our community. Reminded that as our family enjoys popsicles by the pool or a dinner out on a whim… not far away is a family who would have lost their home because of an outstanding $123 bill. Thankfully there is a nonprofit organization in town that came along side them and got them back on their feet. Connection is what fuels Hope Scarves too. A scarf is practical. It makes women feel more beautiful and confident as they face treatments that tear this away. 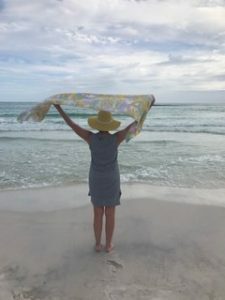 But, most of all it connects each recipient to another woman who “gets it.” When I connect 1:1 with a newly diagnosed metastatic patient she is simply looking to hear from someone else who is facing this disease and living well. A connection of hope. Each story in our collection reflect a common theme of people coming alongside a person during treatment. How they couldn’t have done it alone. Through our shared stories, we find common ground. And in each connection is strength. I am grateful for this award. But, more so, I am grateful for the reminder that connections are fuel for the soul. So much in the world right now seems to focus on violence, terror and hate. It’s beautiful to spend an evening celebrating good work and selfless acts of KINDNESS. May we continue to build bridges and connect. Thank you Louisville Younger Women’s Club and all the grant recipients for being a catalyst to make this so. How can you make a connection today? Loved connecting with YWC members, including these two- a Hope Scarf recipient and young woman who sent a Hope Scarf to her mom during treatment. Michelle, Community Service Chair – my new friend who called me “warm and cuddly” in her remarks. Might seem like a simple enough statement. But, it’s something I’ve been thinking a lot about recently. Today, our sons finished up 3rd and 6th grade. It was an… amazingly normal school year. No health concerns apart from regular maintenance treatments and the anxiety that accompanies scans. Feelings we’ve come to accept as part of our “normal.” Annoying side effects that cause me a roller coaster of anxiety and discomfort… but I can totally live with. Mostly, we just had experiences like other families not in crisis – soccer games, travels, school projects, first girlfriends, broken glasses, arguing over screen time… It was amazing(ly normal). And, here I am. Living life to the fullest… on a plane traveling to Florida for an annual girls trip with my Alabama besties. A trip we’ve taken for over 10 years. One of which I attended with a buzz cut after my hair just started to grow back from chemo. Others I’ve spent crying myself to sleep feeling isolated and alone, with a room full of dear friends just a closed door away. A door I couldn’t open. Here I am, this year – feeling pretty much “normal.” I’m grateful. Daily I think about the reality other friends face with this disease. I pause in prayer and send my love to them. Today thinking about a family mourning this weekend as they say goodbye to their daughter taken from them by MBC much too soon. Tears never far behind my gratitude. I think about how I cried behind that closed door never imagining that just a couple years later I would walk with a light skip in my step. Giddy to play and laugh and simply be with friends on the shore of the ocean. What a crazy ride this is. I was invited to spend this weekend at ASCO in Chicago (the worlds largest oncology conference). A great chance to network with national partners and share Hope Scarves. I considered it, for about 5 minutes. But, decided the beach was where I needed to be. Often I don’t feel like I am doing enough in the advocacy world. As I try to balance my passion with my life. I want to scream from the rooftops about the injustices in the funding and understanding of metastatic breast cancer research. I tell everyone I know about Hope Scarves and how it can be a resource for someone facing cancer. (Seriously, I told my uber driver on the way to the airport.) I have so much I want to write about. I want to tell my story and that of so many of my friends to anyone who will listen. My to do list is never ending. Here I am. I try things that bring me joy and let go of things I can’t manage. One day this might be the same thing. (HA!) I am giving myself a break. And, I am encouraging you to do the same. 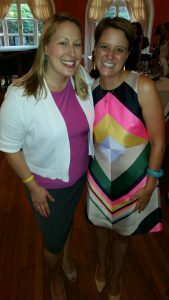 In this crazy life of living well with metastatic breast cancer – I fall in and out of balance constantly. I’m sure you can relate in your daily life as well. Here I am… balancing… learning to delight in my imperfections.